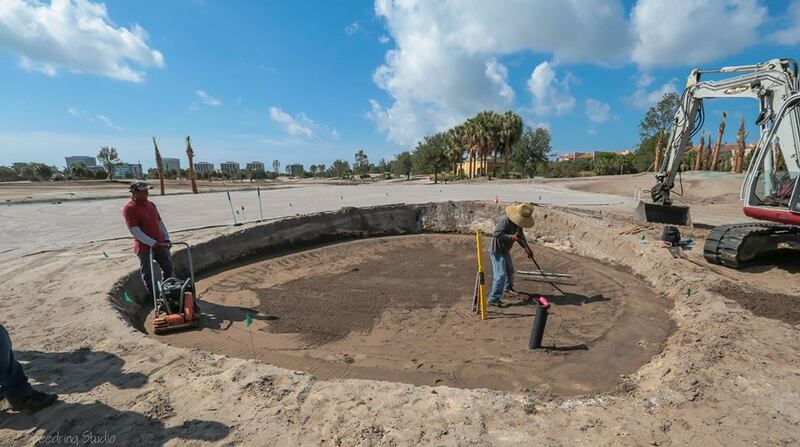 Banyan Cay Resort & Golf in the heart of the beautiful West Palm Beach, has reinvented itself by migrating from a 36 hole golf complex to a Jack Nickaus Designed Signature course. 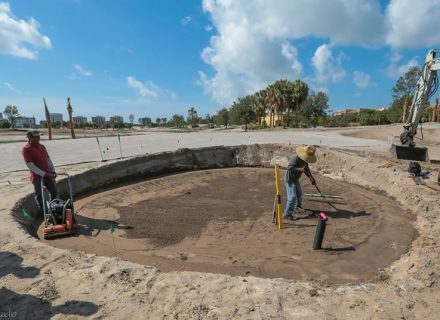 The original 36 holes were demolished with a brand new golf course being built on the current land along with new real estate. In Summer of 2017, Durabunker were commissioned to built numerous strategic sod wall bunkers on the new course, with lead design associate for Nicklaus Design, Mr Chris Cochrane and Golf Architect John Sandford directing operations and Durabunker MD, Rhydian Lewis on site to train contractors Ryan Golf in the installation of Durabuker. 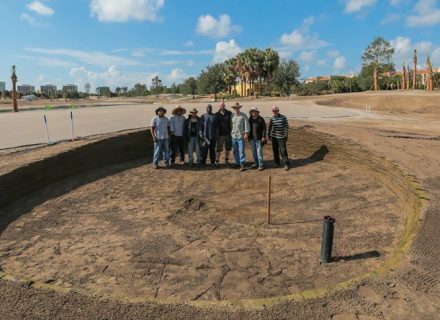 Mr Nicklaus himself visited site on several occasions to cast his expert eye over all aspects of the build including Durabunker. 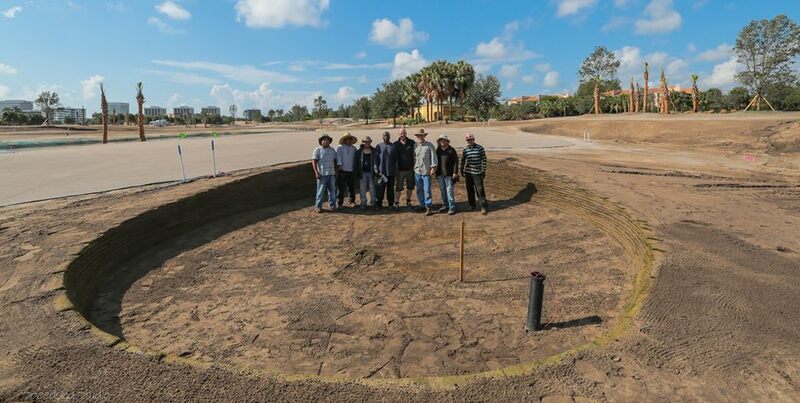 It has been an absolute privilege for us to work with Nicklaus Design on this world class project. 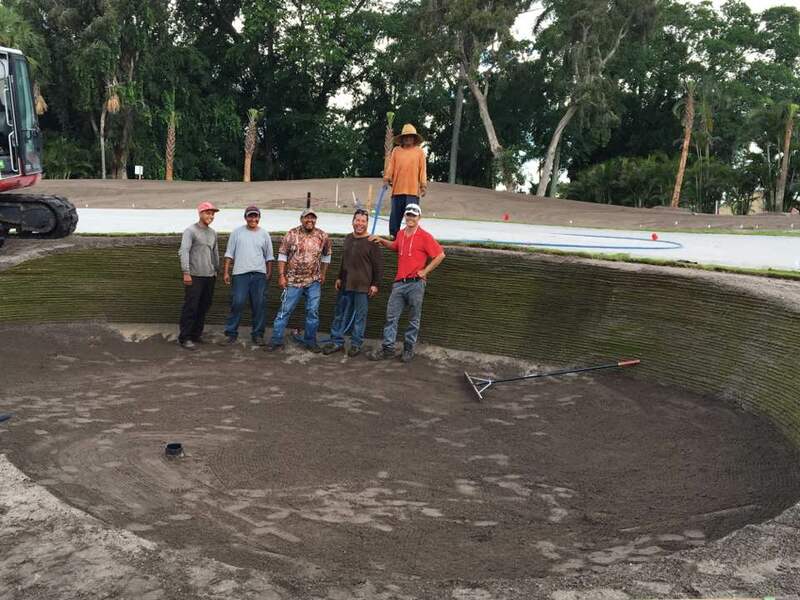 Durabunker staff were professional in every sense of the word. 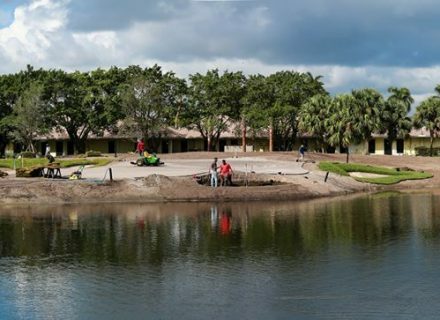 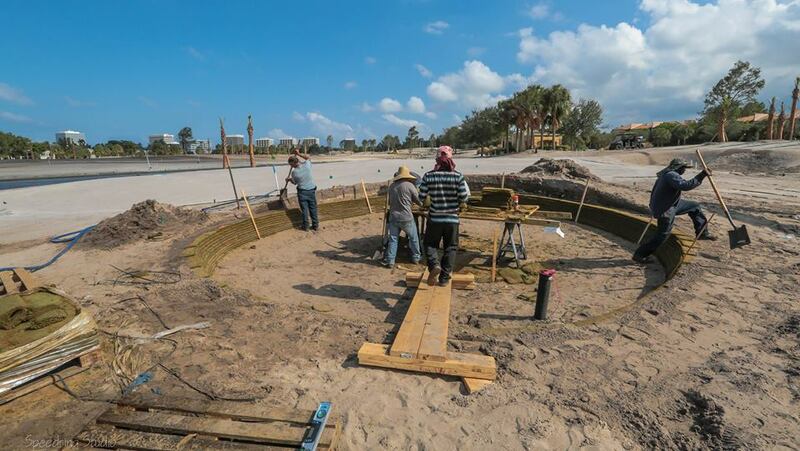 The training given to my staff at the outset of the project at Banyon Cay Resort was first class. 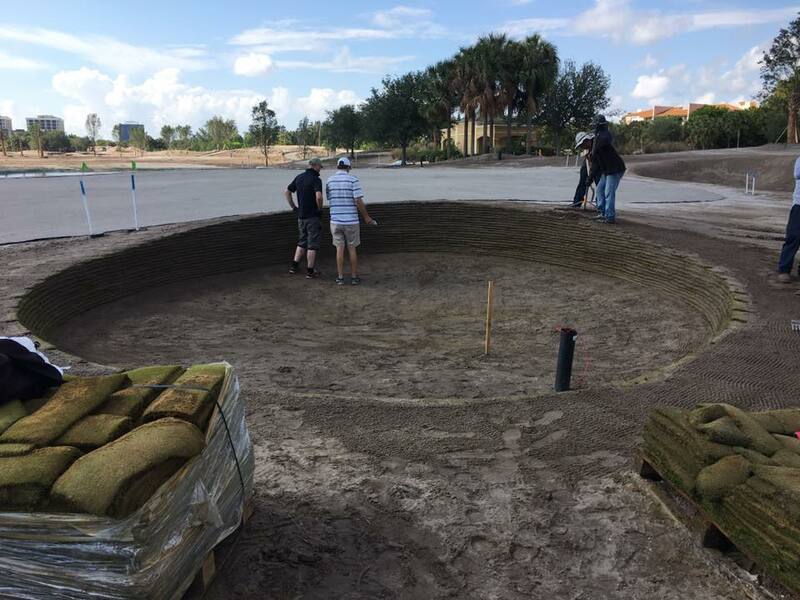 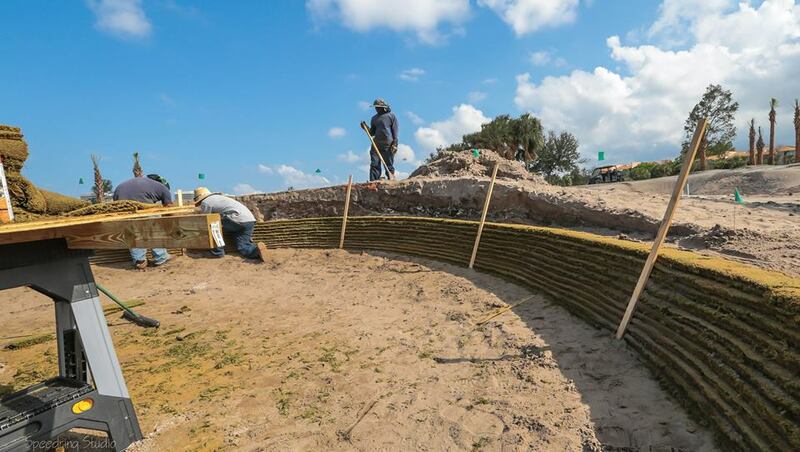 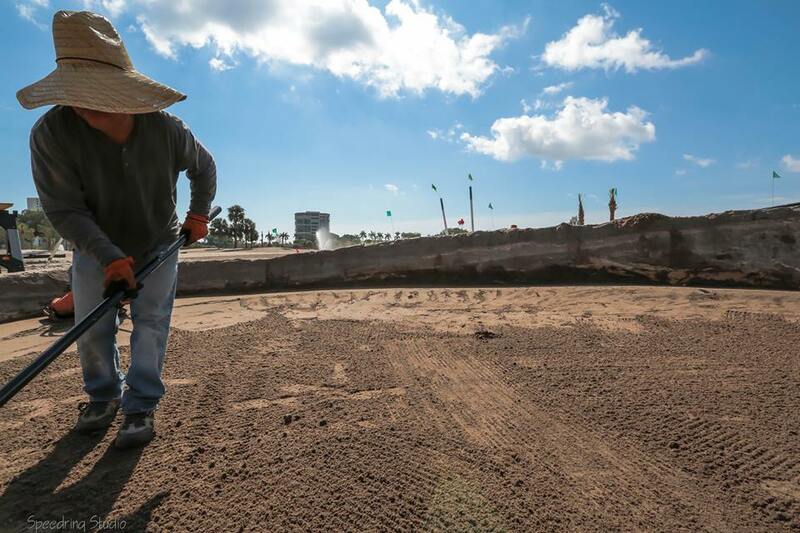 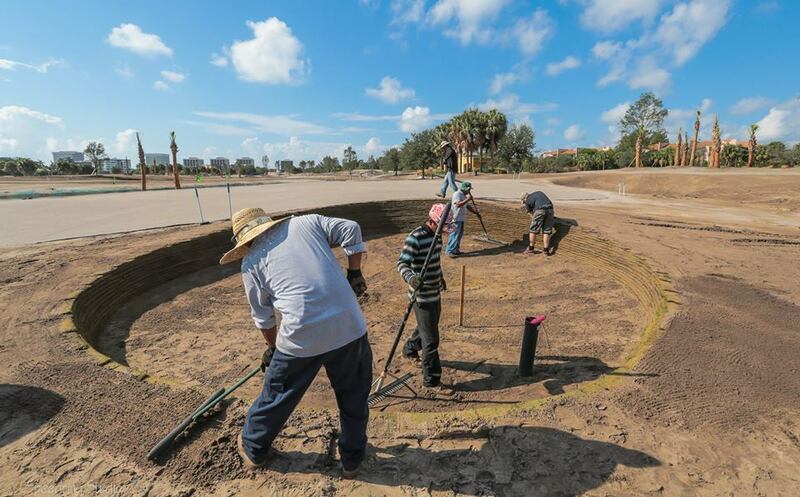 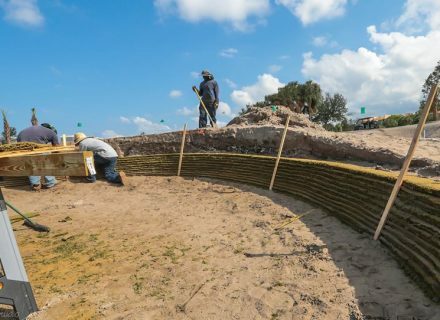 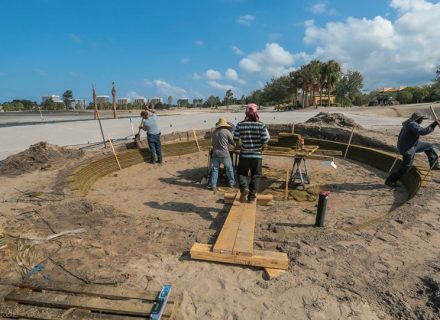 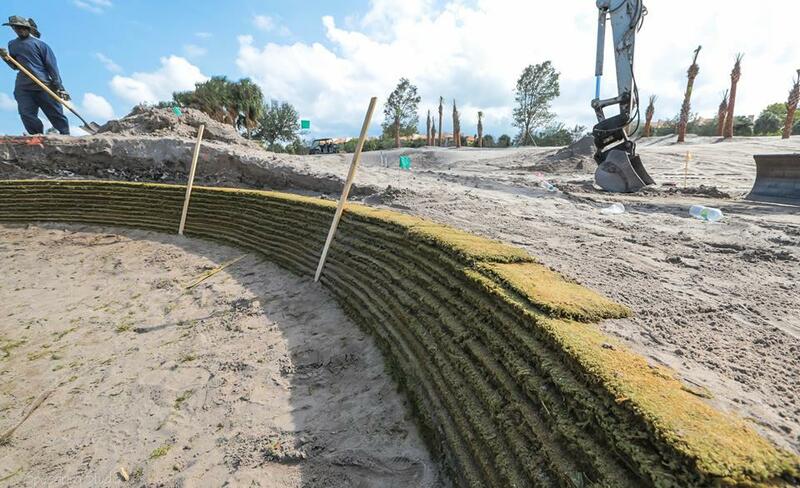 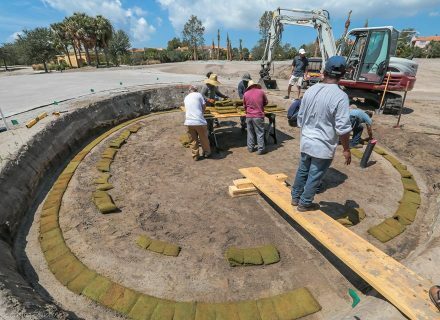 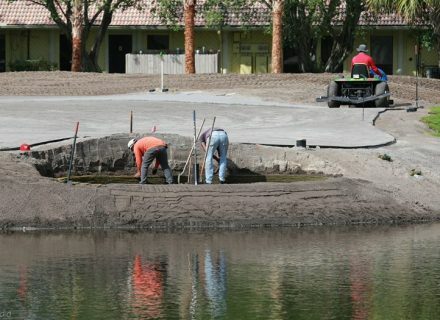 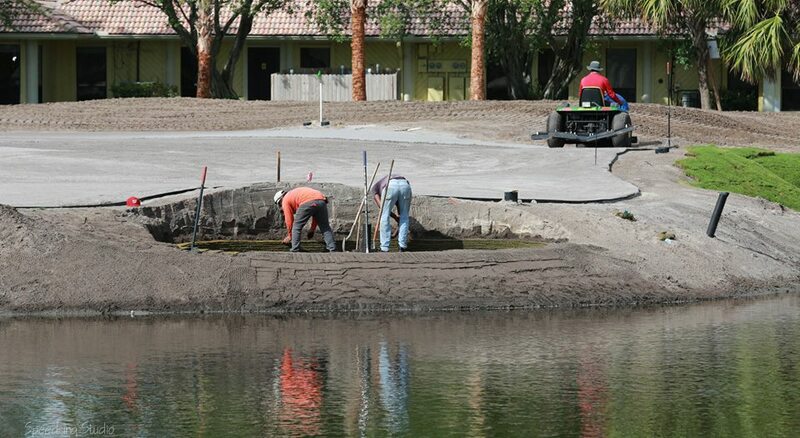 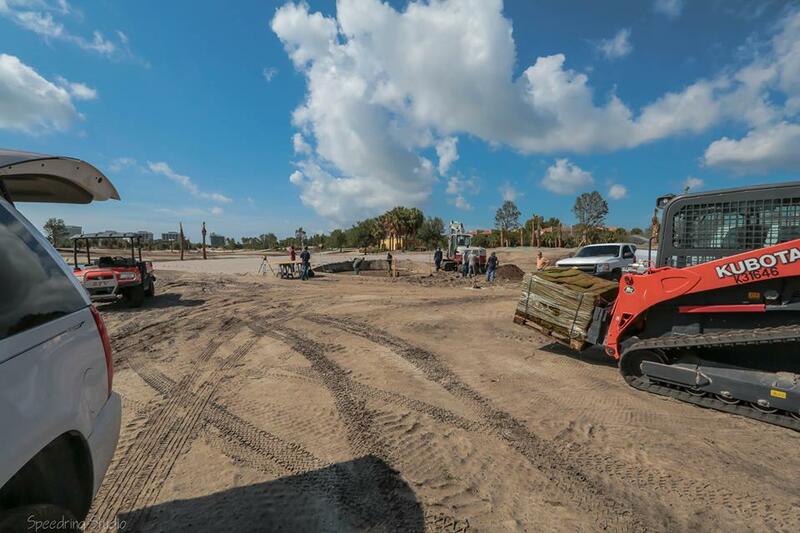 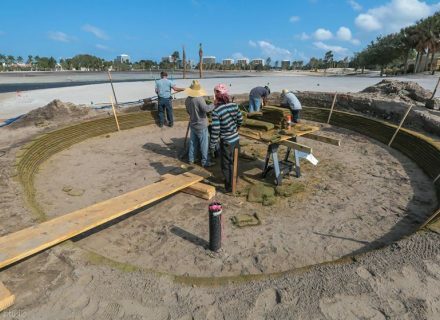 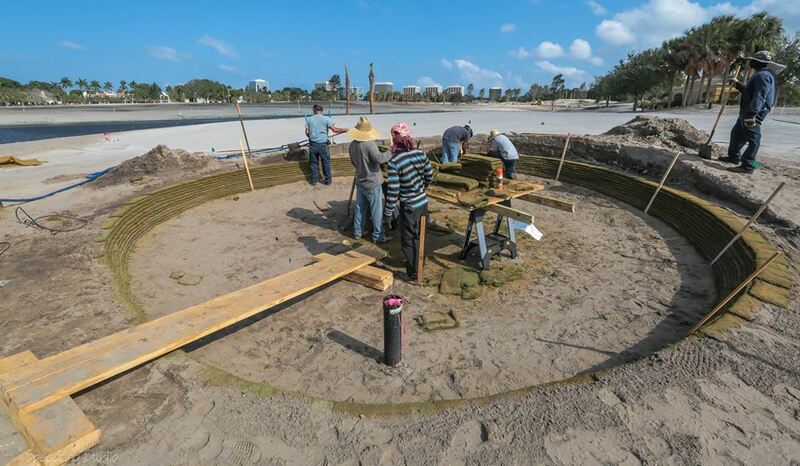 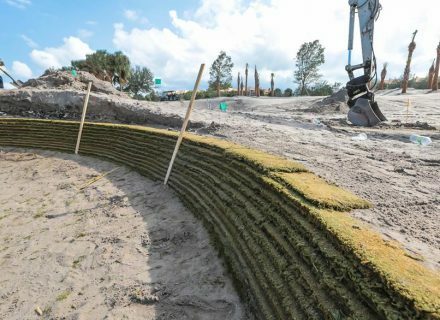 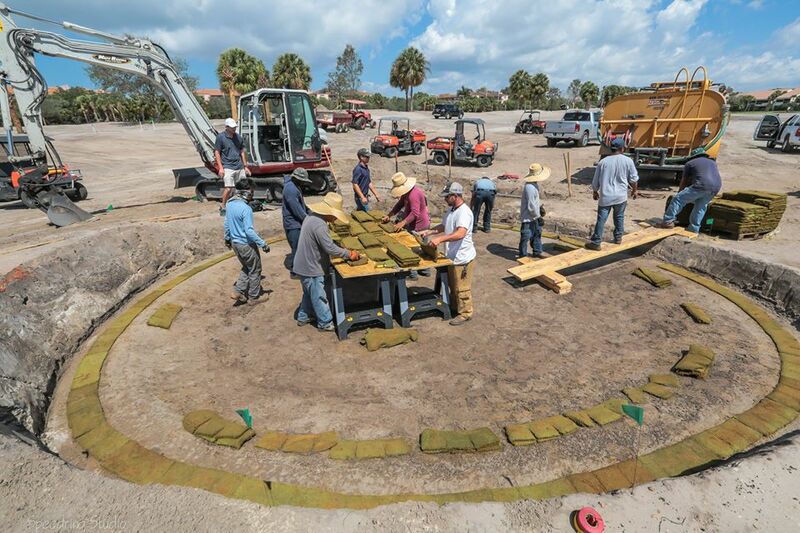 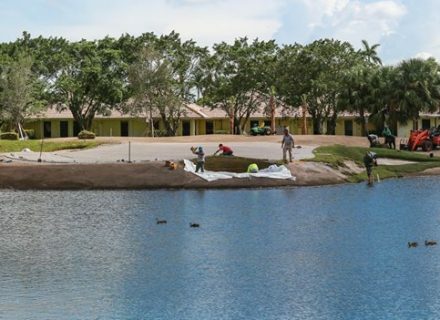 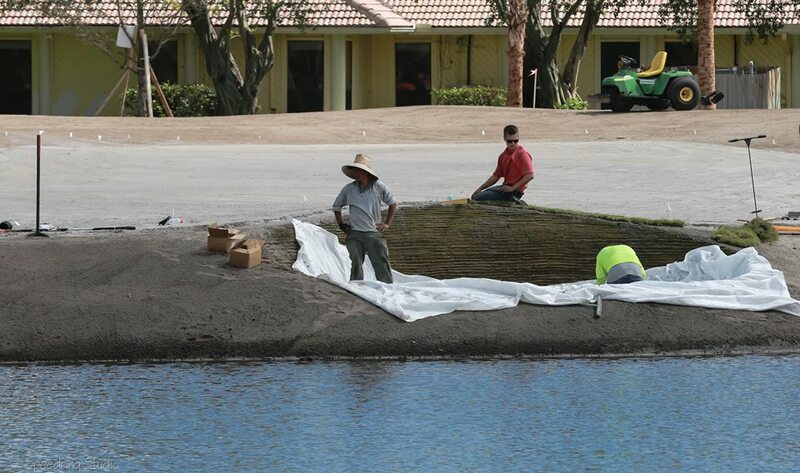 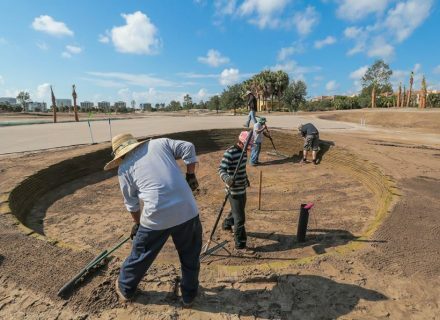 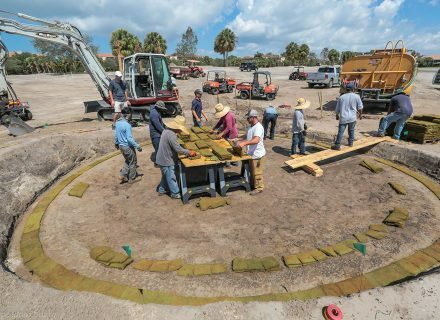 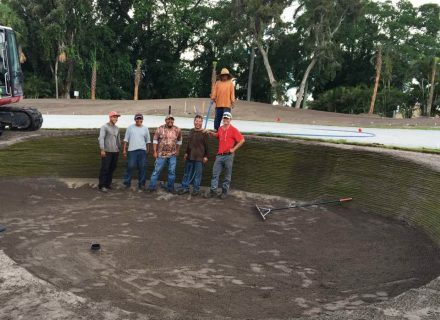 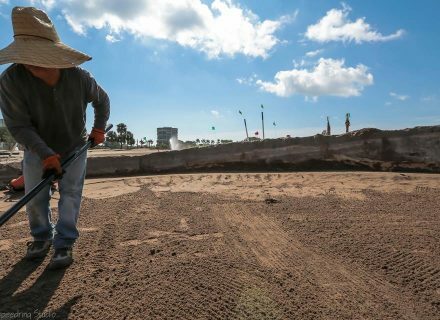 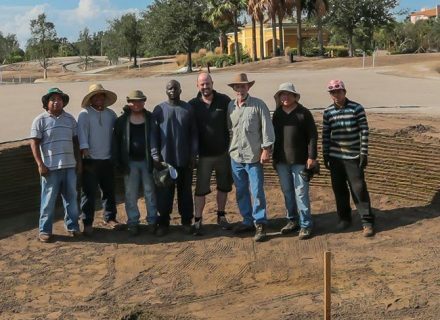 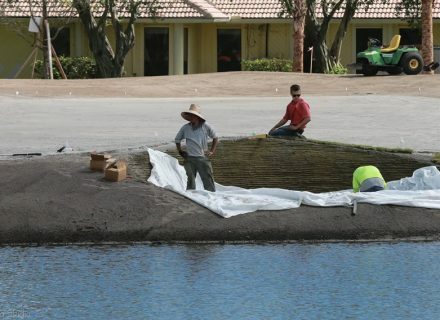 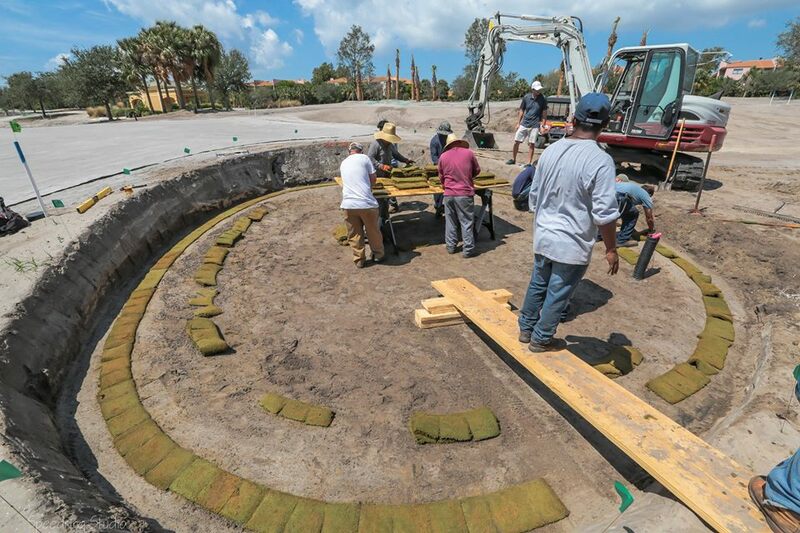 Being a Nicklaus Design, standards on site were very exacting and being led through every step of the Durabunker construction process in a clear and concise manner, enabled us to learn the nuances of building sod wall bunkers with synthetic sod, which was a little different.